Do you Play StarCraft II? Join GameHunters.Club our members share free bonus, tips, guides & valid cheats or tricks if found working. GameHunters.Club is a Fan Site and is not endorsed by or affiliated with StarCraft II. All Trademarks are the property of respective owners. If you love this game, support it by purchasing premium items in the game or follow the official StarCraft II social media channels. Join the Forum, Discuss anything about StarCraft II. You can talk about tips, tricks, cheats, ask for help or simply introduce yourself to the club. These are the most recent topics and posts on StarCraft II Forum. Do you know any of this topics? Help players by posting about this topics on StarCraft II Game Post section. “Alas, the day has finally come…” Wield the might of the Xel’naga with Zeratul, your next Co-op Commander! This professional gamer followed in his brother's footsteps, only to eventually surpass him... Now he may be the best player in the world, but even the greatest among us can yearn to live a normal life. However until it comes... the only way is forward. Esports is often about the competition. But sometimes, it's about the people. Today... it's about Maru. Stories can be written, or... they can be 🔥 forged. Through the flames of adversity, four professional gamers overcame the odds to become paragons within esports. Soon, you will know the depth of their stories. [Incoming Transmission 🛰️] Watch as Grant Davies shares recent SC:R updates + Patch 1.22 features! "There ain't nothin' I can't fix!" 🔧🛠️ See what's changed for Swann in Patch 4.2.4. "Raiders, lock and load!" Check out Patch 4.2.4 changes to Raynor for Co-op. "For the light of Aiur!" ✊ See what's new for Artanis in Co-op starting with Patch 4.2.4. Ready to rock out with an epic StarCraft anniversary remix?! 🤘 Watch as metal guitarist Charlie Parra del Riego unleashes the nostalgia. What does it take to make the most epic prop Psi-Blade ever? 😮 Watch as Scrap Shop Props and Henchwench show you how it's done! Life. Friendship. Fun. StarCraft means many things to many people. 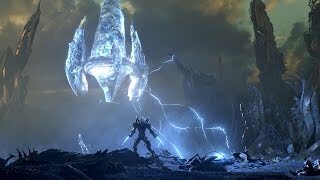 What does StarCraft mean to you? 🤔 Watch "StarCraft is Life" and share your story in the comments below. All-new anniversary emotes are live on Twitch! Celebrate your love for the races of StarCraft with the commands below. The StarCraft: Remastered anniversary console skin is now available with Patch 1.21.4! Enable it in the game under Options > Game > Console. ⚠️ Heads up! ⚠️ Your last chance to get War Chest 2 feat. exclusive cosmetic items ends tomorrow at 10 a.m. PST! Karax's latest updates in Patch 4.2.0 give you more for less! Get a quick glimpse of his changes below. Wage war across the galaxy with three unique and powerful races. StarCraft II is a real-time strategy game from Blizzard Entertainment for the PC and Mac. StarCraft II is a military science fiction real-time strategy video game developed and released by Blizzard Entertainment for Microsoft Windows and Mac OS X. Experience the beginnings of the real-time strategy classic and the epic conclusion to the trilogy. Play as Terran army and bring down the nefarious Dominion, reclaim your living empire at the Heart of the Zerg Swarm, or guide the ethereal Protoss fleet as they struggle to unite the three races in the ultimate battle for survival. The future is in your hands.